I hope you have had a grand week. 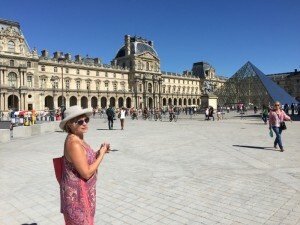 We sure have 🙂 The worst thing that happened to us was that we got lost in the Louvre – which is not difficult to do, considering it is absolutely massive. 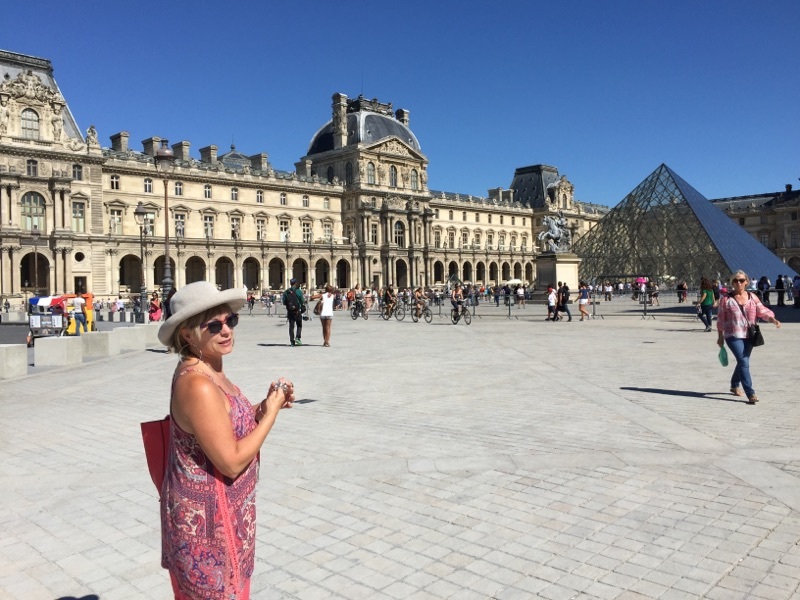 If you haven’t been, the Louvre Museum is chock FULL of paintings, sculptures, furniture, jewelry and all sorts of exquisite and historical artifacts. We were like kids in a candy store, running from the Italian paintings to the French ones to the Ancient Greece collection and so on. Wait…here’s the Mona Lisa! 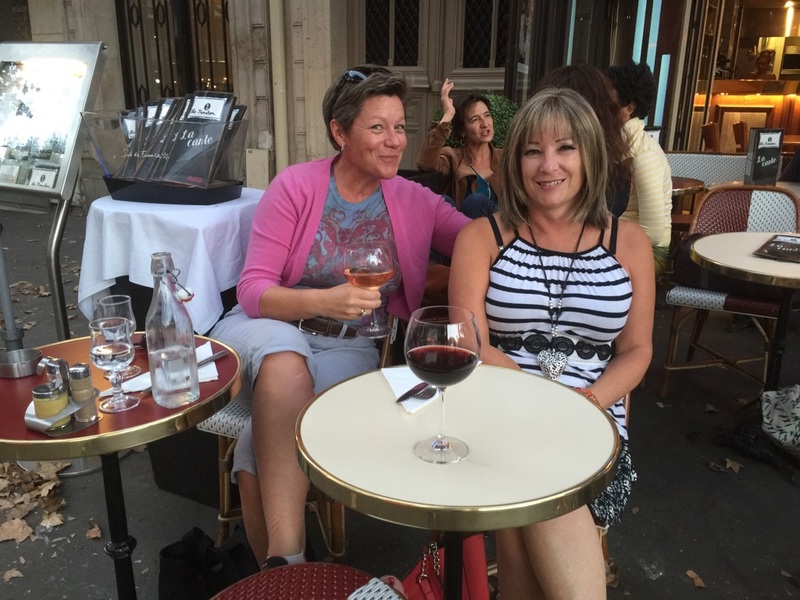 Look…over there is the Venus de Milo. 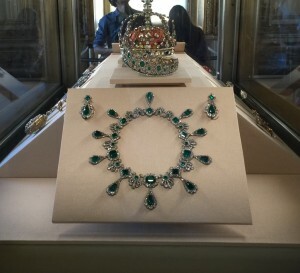 Now there is some serious bling of Marie Antoinette’s (a necklace with 32 emeralds and 1000+ diamonds). And is that seriously a 140 CARAT diamond? Oui. 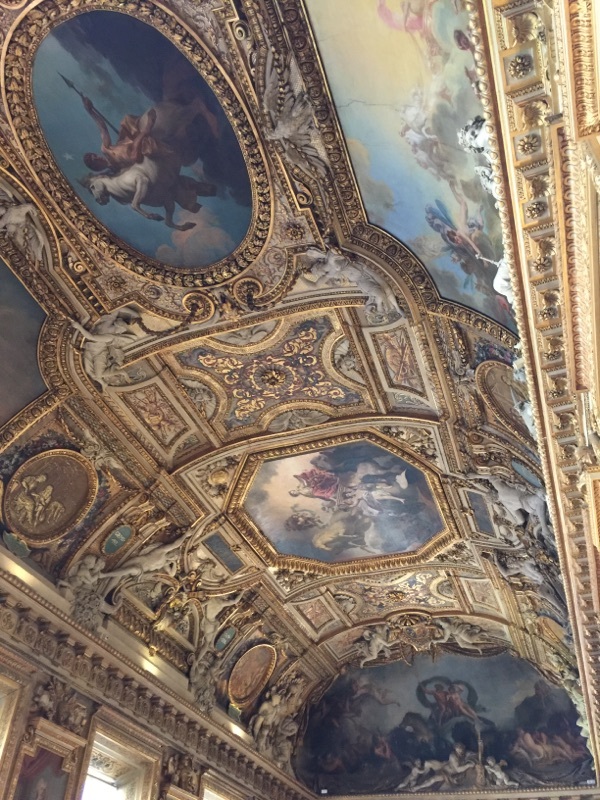 And don’t forget to look UP…there are paintings on the ceilings, too! Oh no. Instead, we were ushered this way and that way and voila! The next thing we know, we were standing in the middle of some HUGE attached shopping mall – with no clue (and little in the way of effective signage, in our humble opinion) as to how to get out. 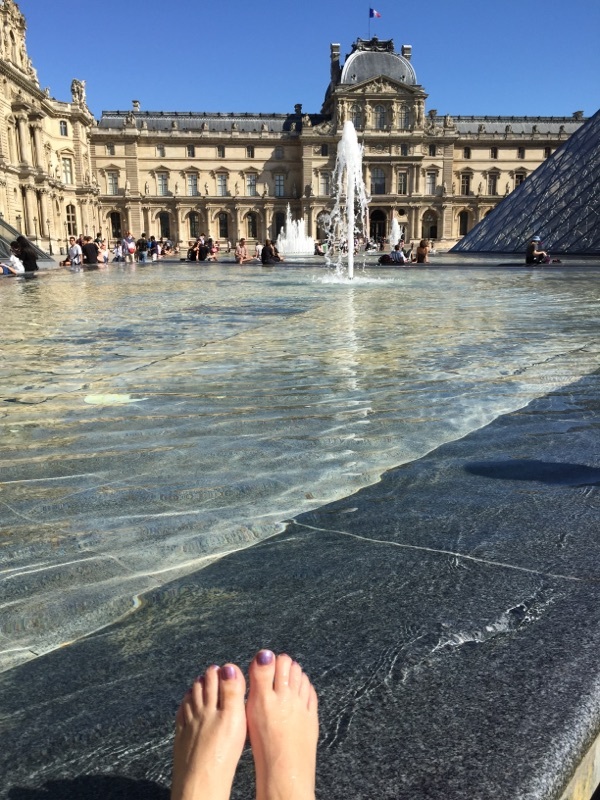 Let’s just say that after a few too many laps around the damn mall (after hours in the Louvre), my usually chipper travel partner was no longer chipper. 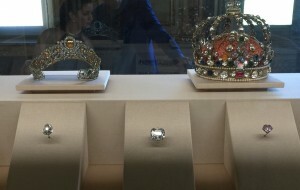 The next day (which is when the above photo was really taken) we headed to the Palace of Versailles (wow!) 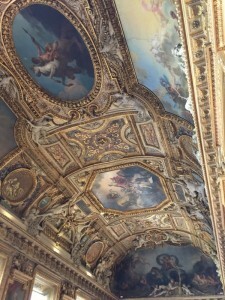 and then the following day, we visited the Garnier Opera House (WOW!). So I shall post those photos next week, as both places were absolutely stunning. Tracey left for home on Saturday morning and I left for home on Monday. So after all the fun of Paris, I buckled down in my sweet little Sceaux apartment and had one heck of a productive weekend of writing. 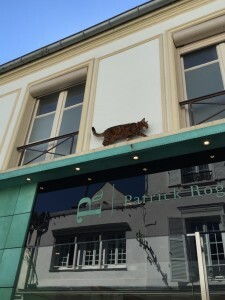 I shall leave you with this cute photo of a Sceaux kitty up to no good. She was chasing pigeons…on the side of a building! Take care and have a delightful week! Je suis arrivé à Paris! 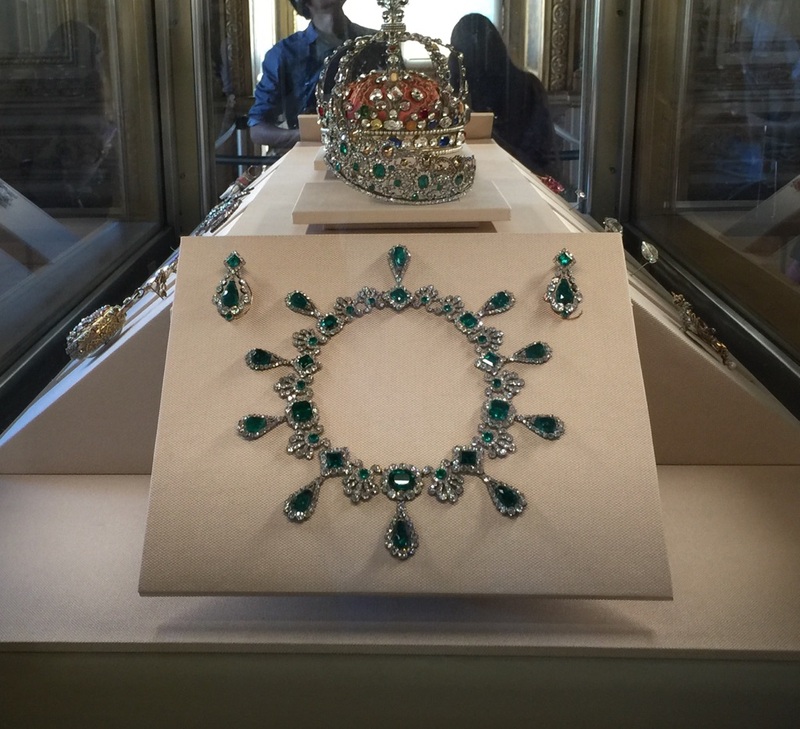 Wow – I love seeing all the gorgeous pictures! Paris does look like a dream – I can’t wait to venture there! Sounds like a wonderful holiday Maryanne. It’s been years since I was in Paris and would love to go back. muy bueno! ooops wrong international language!!! Have fun thanks for the beautiful pictures and adventure! Oh, I do hope you can get back to Paris someday, Marjorie. What a lovely city! Hi Angela! I bet you will LOVE Paris!! 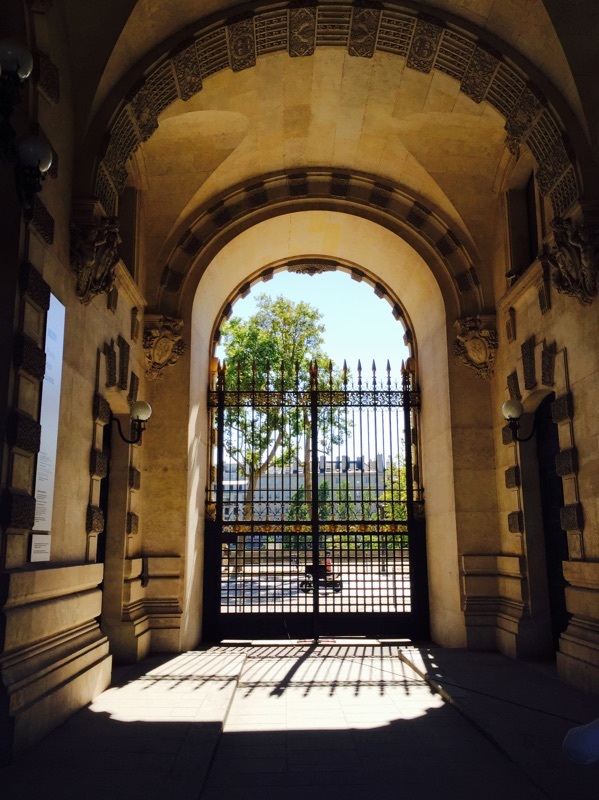 There is so much beauty with all the art & architecture. And the history is fascinating.